“In order to discover my own sentiments, relative to the method of Theological study, in the first place I would observe, before I treat of Theology itself, that there are some kinds of study which ought to precede, or even be annexed to it. The first is the study of the languages, especially Latin, the utility of which extends itself to almost all sciences, but especially Theology. Likewise, Greek and Hebrew, which, it is plain, are necessary in order to attain an accurate knowledge of the Sacred Scripture. Now, the study of the languages is peculiarly adapted to youth, because in that age they are attained with greater ease. With respect to the languages, this rule is to be observed, much practice, and but few precepts. The knowledge of them may be attained with little trouble, by frequent reading, daily exercise, and repeated interpretation. Some knowledge of Philosophy is also requisite, viz. so much as is necessary for the investigation of truth, and to direct the mind in a proper method of reasoning. Logic is of service to this purpose. The other branches of Philosophy, though not contemptible, yet are not of such utility. But here caution should be used, lest vain curiosity, too much subtlety, a spirit of contradiction, or an itching desire for disputation be extracted from it: these are the common defects of philosophers. That at their very entrance upon theological study, they ought to begin with the reading of the Sacred Scripture, and persevere in it, through their whole lifetime, according to that of Paul, 2 Tim. 3, where he says that the Sacred Scripture can make the man of God perfect; and here again, method should be used, the historical books ought to be attended to first, then the dogmatic and moral [books], and afterwards the prophets. About this, see Etienne Gaussen’s dissertation De Natura Theologiae. To the reading of the Scripture ought to be annexed Sacred History, extracted from a short compendium of History and Chronology, which ought indeed to be carefully perused and understood by beginners, so that they might have an accurate knowledge of the principal epochs, most memorable events, illustrious men, and other things of similar importance, according to the order of the different periods of time. 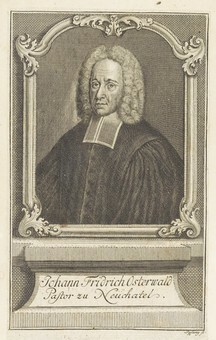 Ostervald adds a last piece of advice to the above, saying that the scholastic method should be avoided as it is “the pest of Theology and Religion,” since, according to him, it takes “the Gospel, which is plain and perspicuous in itself, and reduces it to a hard science.” However, recent scholarship has shown that scholasticism, as used among Reformed theologians in the Post-Reformation era, was merely a useful method employed in the schools which sought clarity and precision in theology, and did not necessarily lead to an alteration in the content of theology. For more on this, read Willem J. van Asselt’s Introduction to Reformed Scholasticism (Grand Rapids: Reformation Heritage Books, 2011). To summarize, beginners in theology should take heed to study, as handmaidens to theology, the biblical languages (Hebrew and Greek) and the language of the Western Church for 1800+ years (Latin), together with philosophy, particularly logic. With regard to theology itself, beginners should diligently study the Bible, redemptive history, church history, and the catechism/confessions (Belgic Confession, Heidelberg Catechism, and Canons of Dort). This should lay a firm foundation for a beginner to build on and discern from in his future studies.